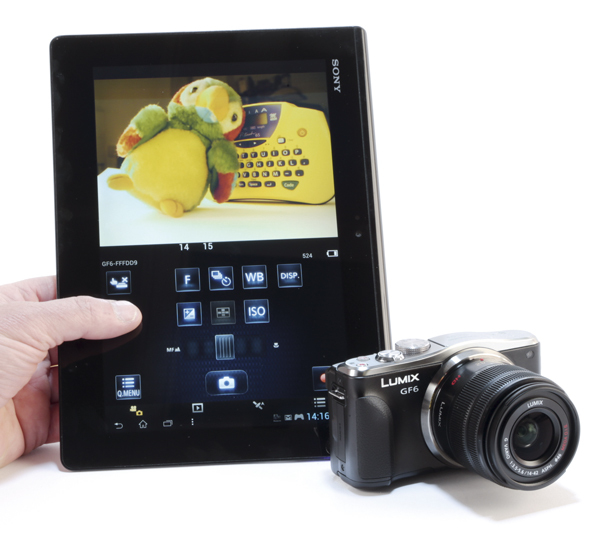 While the GF6 does not have a port for connecting a cable release, the fact that the camera is Wi-Fi-enabled means that remote shooting and live view are possible via a smartphone or tablet. Not only are they possible, but through the Panasonic Image app (downloadable for free from the Apple and Android stores), there is wide range of shooting controls available via a smart device. The range of exposure settings that can be adjusted remotely include AF mode, white balance, touch shutter, touch AF, colour modes, picture effects and even the drive mode. There is no manual override of the shooting mode dial, so one must select the shooting mode wisely if the camera is being placed at a distance. Thankfully, the camera’s response to remote changes is near instant, making the GF6 suitable for remote wildlife shooting or sports, where a quick response is necessary to capture a moment.